This requires quieting the personality so that there is no obstruction to Soul union, for it is the Soul, the Self, that blesses. Relax the bodyStill the emotions so they become as ‘quiet as a mountain lake’.Quiet the ‘monkey mind’ – if it leaps away bring it back to stillness to face the Soul. See a beautiful meadow full of green grasses and flowers of all colours. It is a warm sunny day and the air is full of the perfume of the moist soil and vegetation. Feel the ground beneath your feet, the warm breeze on your skin and hear the sound of birdsong surrounding you. The sun is shining and bathing all in light. Your attention is drawn to a bee working busily near to you. It flies from flower to flower, collecting nectar and pollen. You notice more and more bees. Their busy sound drones like a comforting perpetual ‘Om’. 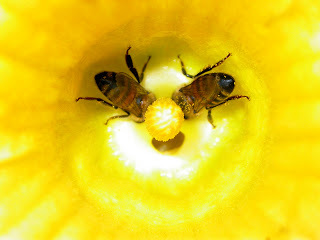 You notice them working independently but together, as they each return to an active hive. 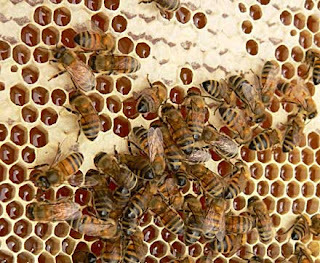 Their gatherings of nectar are turned into honey. This golden liquid is for the sharing and sustaining of themselves and their community and others that feed on it. There is enough for all and the cycle of gathering and sharing is perpetual, joyful and harmonious. ‘Breathe Out’ your ideas as formulated forms of thought into the great stream of mental substance which is ever playing upon the human consciousness. Close with a careful consideration of your own responsibility to the Plan.Be practical and realistic and know that if you do not give, you may not ask, for you have no right to evoke that which you do not share.